Christianity in America: "America and Christianity"
"As the government of the United States of America is not in any sense founded on the Christian religion as it has in itself no character of enmity against the laws, religion or tranquility of Musselmen and as the said States have never entered into any war or act of hostility against any Mahometan nation, it is declared by the parties that no pretext arising from religious opinions shall ever produce an interruption of the harmony existing between the two countries." ~ Article XI, Treaty of Peace and Friendship Between the United States of America and the Bey and Subjects of Tripoli, November 4, 1796. "Whatever we once were, we are no longer a Christian nation – at least, not just. We are also a Jewish nation, a Muslim nation, a Buddhist nation, and a Hindu nation, and a nation of nonbelievers." ~ President Barack Obama, speech Cairo University. The study of theology, as it stands in the Christian churches, is the study of nothing; it is founded on nothing; it rests on no principles; it proceeds by no authority; it has no data; it can demonstrate nothing, and it admits of no conclusion. ~ The Writings of Thomas Paine, Volume 4. "Of all the systems of religion that ever were invented, there is no more derogatory to the Almighty, more unedifying to man, more repugnant to reason, and more contradictory to itself than this thing called Christianity. Too absurd for belief, too impossible to convince, and too inconsistent for practice, it renders the heart torpid or produces only atheists or fanatics. As an engine of power, it serves the purpose of despotism, and as a means of wealth, the avarice of priests, but so far as respects the good of man in general it leads to nothing here or hereafter." ~ Thomas Paine, The Age of Reason. Thomas Paine was no lightweight when it comes to American Independence, his writing, "Common Sense" prepared in 1776 was crystallizing. The wording in the Treaty of Tripoli was coined under the watchful eye of Washington, Adams, Jefferson, and Madison. The statement President Obama made in Cairo demonstrates the conflict of Christianity that has flowed throughout our history. Many were shocked when he made that statement, but in reality, the statement is factual. Factual in the sense there are American citizens who are Jewish, Muslim, Buddhist, Hindu, etc, who are no less Americans than anyone who would hold the Christian faith. Yet, there are over 300 court decisions throughout our history that affirm we are a Christian Nation. One cannot visit our Nation's Captial and avoid the religious notations etched in stone to preserve our Christian influence. Who is right? It appears to be the best of times, and the worst of times. I would suggest the difficulty comes from the uniqueness of the American system. From this uniqueness, one can certainly say in a factual sense this is not a Christian nation. Also, from this uniqueness, one can certainly say in a factual sense this is certainly a Christian nation. No, that was not a misprint. This nation is a system of government like nothing that has ever existed before in history. There are elements of it that can be found in previous systems, systems that over time failed. But there is a unique combination brought together in this system that was lacking in all the others. It is a unique blending of religious and civil freedoms depending upon personal responsibility and moral restraints. To the dismay of many, it is a Biblical system implementing Biblical principles of government and morality. To the dismay of others, that system does implement a separation of the Church and the State. When we try and stand upon only one leg of this system, it is then we find ourselves on opposite sides throwing conflicting quotes from our own history at each other to prove our point. Our human nature makes a perfect balance impossible, however, the closer we are to these principles the more freedom reigns. The reason there are so many statements made by those considered our founding fathers that express their Christian faith is because they were Christians. Yet those same men could make statements like the one in the Treaty of Tripoli because of this unique system of government. It was not and is not a Christian nation in the sense of what that was understood to mean during the founding era. 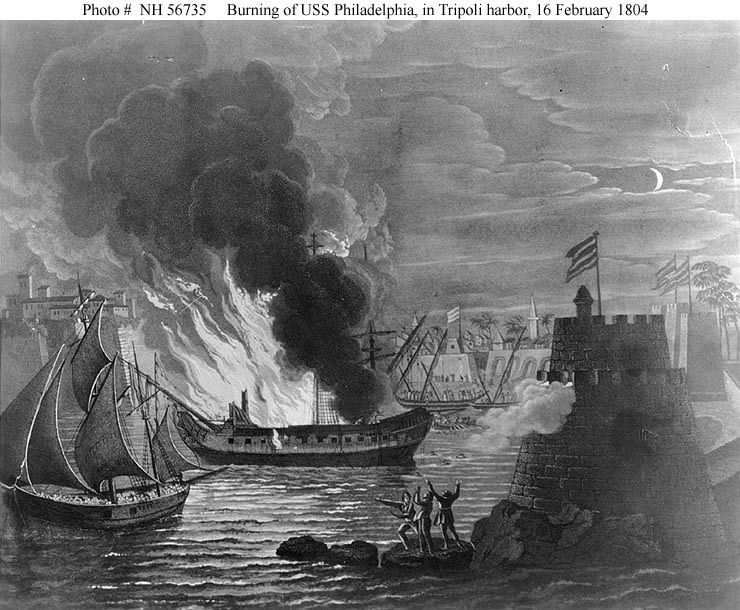 The issue with Tripoli was their unprovoked attacks upon the American merchant ships and taking Americans as slaves. The Muslims of Tripoli and the other nations involved understood Christian nations like those of Christian Europe of which came the crusades. The American experience was no such system. In those previous systems, the civil and religious aspects overlapped. The King was seen as the defender of the faith, and the church ruled in the government. In their deliberations, though they were Christians, they did not want a theocracy. However, they wanted to assure their Christian faith was not infringed upon. They wanted to make sure the Gospel had free course and could function unhindered by government rule, thus we have the First Amendment. America is unequivocally a Christian nation in the sense of its population and moral culture, however, it is unequivocally not a Christian nation in the sense that one must adhere to, believe in, or support in any way the Christian faith. One does not gain any greater citizenship by professing Christianity but is on equal grounds in law and office. "Reason and free inquiry are the only effectual agents against error. Given a loose to them, they will support the true religion, by bringing every false one to their tribunal, to the test of their investigation. They are the natural enemies of error, and of error only. Had not the Roman government permitted free inquiry, Christianity could never have been introduced. had not free inquiry been indulged, at the era of the reformation, the corruptions of Christianity could not have been purged away. If it be restrained now, the present corruptions will be protected, and new ones encouraged. Were the government to prescribe to us our medicine and diet, our bodies would be in such keeping as our souls are now." ~ Thomas Jefferson. Noah Webster stated likewise: "Let us reject the spirit of making proselytes to particular creeds by any other means than persuasion." ~ Noah Webster, oration to the citizens of New Haven, 1798. The Crafting of our system gives freedom from government coercion in our lives. We are free to practice our faith and diffuse it by the means of persuasion alone. The American conscience is to be free. The Christian coach is free to lead his team in prayer with all who would join him. The atheist coach is free to lead his team without prayer of any kind, while not forbidding any individual from praying themselves. The government does not demand of you, leave your faith at the door of your political office. However, the only tool you may possess is persuasion. America is a wonderful place for the Christian to abide as well as the atheist, as long as America remembers who and what she is. Is America a Christian nation? Well, that depends on how you look at. It's true, an overwhelming majority of Americans are either Christian or associate with the Christian religion. So, in that sense, America is a Christian nation. It is also argued that the Founding Fathers were Christian and our nation was founded upon Christian values. Well, that may be true in part, although, a number of our Founding Fathers were Deist and not Christian. However, America's government is modeled after the Roman Republic and our Constitution does not promote Christianity or any other religion. America is a democratic republic governed by law and not religious doctrine. So, is America a Christian nation? No, America is a nation governed by a secular government. I am no expert on the Roman Republic, but I would not be surprised to find similar functions as Republics would have to be similar to be called Republics. However Gene, I will have to side again with the Founders themselves over your view. They are the one's who point to Christian principles as the source and support of our system not me.
. . . it is founded on morals and religion, whose authority reigns in the heart, and on the influence all these produce on public opinion before that opinion governs rulers. ~ Fisher Ames, Framer of the Frist Amendment. time; they therefore who are decrying the Christian religion, whose morality is so sublime & pure, [and] which denounces against the wicked eternal misery, and [which] insured to the good eternal happiness, are undermining the solid foundation of morals, the best security for the duration of free governments." ~ Charles Carroll, Signer of the Declaration. we increase penal laws and draw entrenchments around our institutions. Bibles are strong entrenchments. Where they abound, men cannot pursue wicked courses, and at the same time enjoy quiet conscience." ~ James McHenry, signer of the Constitution. of civil freedom, and political and social happiness which mankind now enjoys." ~ Jedediah Morse Patriot and “Father of American Geography”. is to be laid in religion. Without this there can be no virtue, and without virtue there can be no liberty, and liberty is the object and life of all republican governments" ~ Benjamin Rush, Signer of the Declaration. You see, it is not I who lay this claim, it is they themselves who wrote and contrived the American experience. I could go on and on with their own words but these should suffice. You will understand if I give their understanding of freedom and government over yours and mine. Having said that, I will agree that our Constitutions of government do not promote Christianity or any other religion, it is a civil document to govern a nation and a people. The Founders are not saying the Constitution is promoting Christianity. They are saying the principles which are given life by Christianity flow through the system of government and give it life. They do not make you religious, but they give you principles in society that produce and sustain Republican forms of government. To understand what they are saying we must make a distinction between the Christian faith and Christian principles that of an in themselves do not make you Christian. Good debate Gene, always appreciate your insight. As I was mowing my yard today on my riding lawnmower, I thought about this blog, my comment and your response. One thought kept coming to mind, what difference does it really make? Why is it important to claim America is a Christian nation? I think the bottom line to your point, or anyone who claims this point, is that God is real and Christianity is the one true religion. All I can say is just because our Founding Fathers claimed to use Christian principles to build our nation doesn't add any justification that there is a God or that the Bible is the "Word of God." Okay, so America is a Christian nation. Now what? Does that mean we are a favorite nation of "God?" No, that would go to Israel. If we are a Christian nation, is it a Catholic nation, a protestant nation, a Baptist nation? For each of those denominations, and others, interpret the Bible differently and even within each denomination there are many different interpretations. One thing for certain, our Founding Fathers were brilliant to ensure our constitution was and is clearly a secular document. Thank God! No, thank common sense! You ask, “Why is it important to claim America is a Christian Nation?” No more important I suppose as to claim it is not. I do think I understand your point, but I think you will agree with me what is important is truth. I think you know me well enough that I am not going to post some falsehood on this blog. I may post my opinion in search of that truth, which may or may not be an accurate understanding. That is why our conversations are helpful, they challenge our reason and understanding. All our assertions need to be about to stand up to questioning. 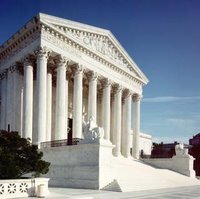 It may not be important to claim America is a Christian Nation, but it is important to understand why over 300 court rulings throughout our history did. It is important to understand in what sense they came to those conclusions. It's important to understand how that relates to us today as Americans. It is important to understand why they viewed the Christian religion as such an intrinsic part of our system. These things are important because we want to know the truth. I think you understand my purpose here on this blog is not to make America a Christian nation, it is simply to convey the truth as best as I can from the words of our Founders. There has been much written about who and what our Founders were, Deist mostly. However, I find that troubling when I read their writings, their writings are not deistic. You know I would not post a quote on here that could not reasonably be attributed to the correct author. I am not interested in making someone say something they did not. However, I do want to understand why they said it. If you remember, you called me on a Thomas Paine quote. I acknowledged the error and removed it, for it was not consistent with many of his other statements and could not be verified. I appreciate your interest Gene, you are a good friend. I think the next blog post will concern a letter I came across online written by Noah Webster and his views on the Gospel. "Noah Webster and the Gospel"